Great decision IMO. 1806 is a STUNNER & only going up, up , up, not that's a reason but It's another + if you ask moi. 68 -69 correct? It dates to 69 by the serial. Yes it ticks all the boxes for me as far as a vintage Navitimer is concerned. I almost went for an 806, but I fancied a bit of colour. 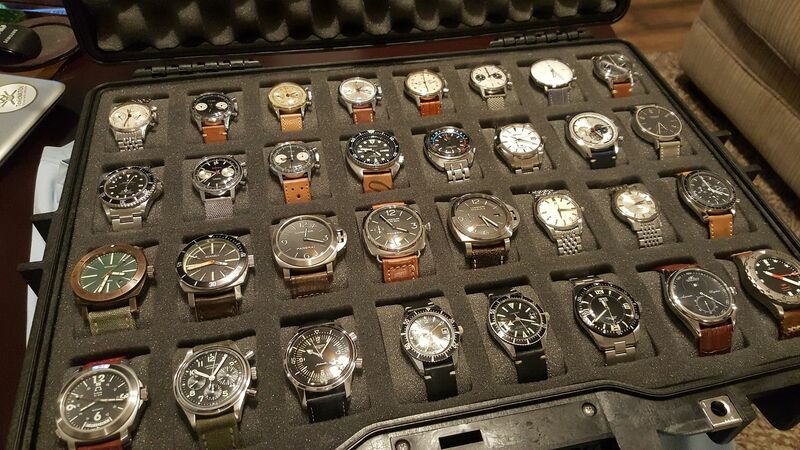 Oh very cool, great collection & super case. That's a very interesting drawer you have there. Is that a Gilt Rolex Explorer I can see?? Wow. Can't say which one is the nicest.